Hello everyone! 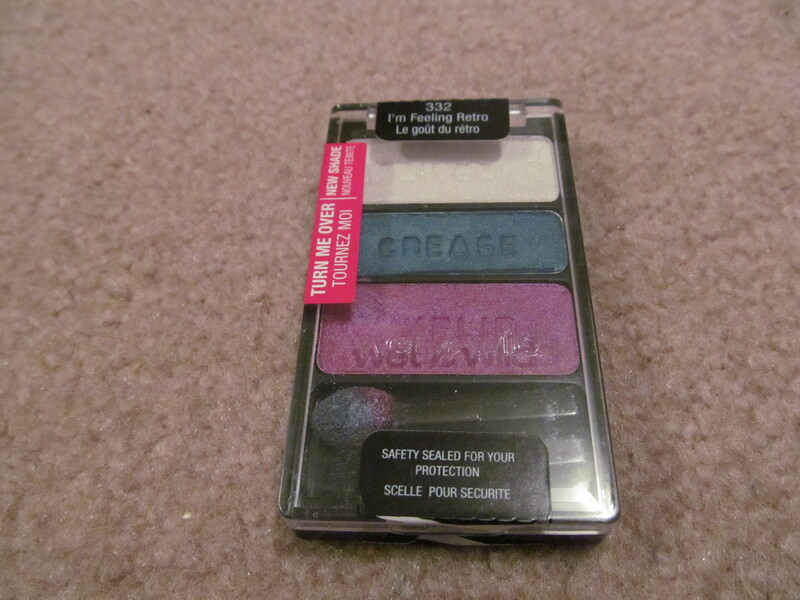 I saved my favourite trio for last so are you glad that I am done reviewing all of my Wet ‘n Wild trios? Description: A fun trio featuring a Browbone of shimmering and glittering white, Crease a light shimmering navy blue, and Eyelid of a bright shimmering pink-purple. Review: There is one standout shade in this palette and it is the pink-purple shade it is just a stunner and works beautifully on the eyes. The other two shades are a little hard to work with the Browbone sometimes hardly shows up on skin and the Crease has a pigmentation issue that can be worked out by packing on the eyeshadow. 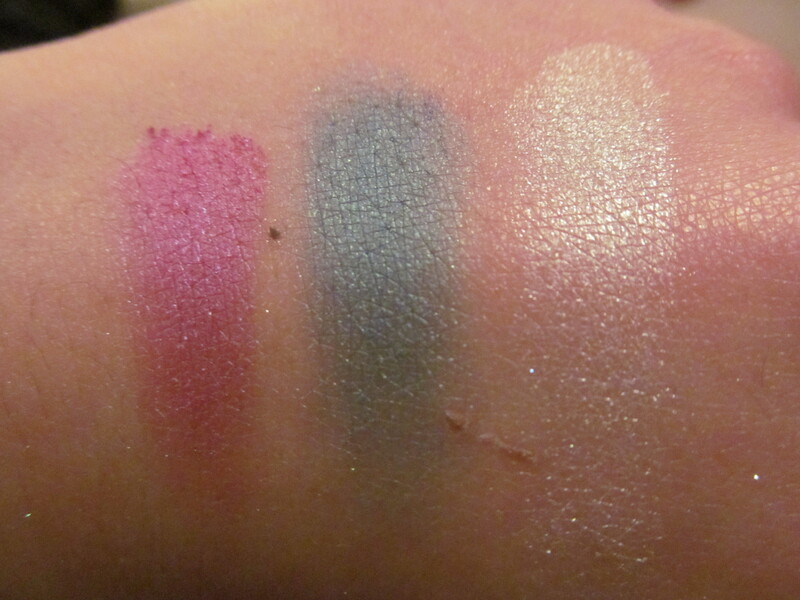 But for the stunning pink-purple shade I think that this eyeshadow palette is worth the purchase. Texture on the Eyelid shade is very smooth and pigmented while the Crease and Browbone shades were a little denser but still easy to blend with and apply. Lasting power is that same as all the others a full 8 with primer and 4 hours without. 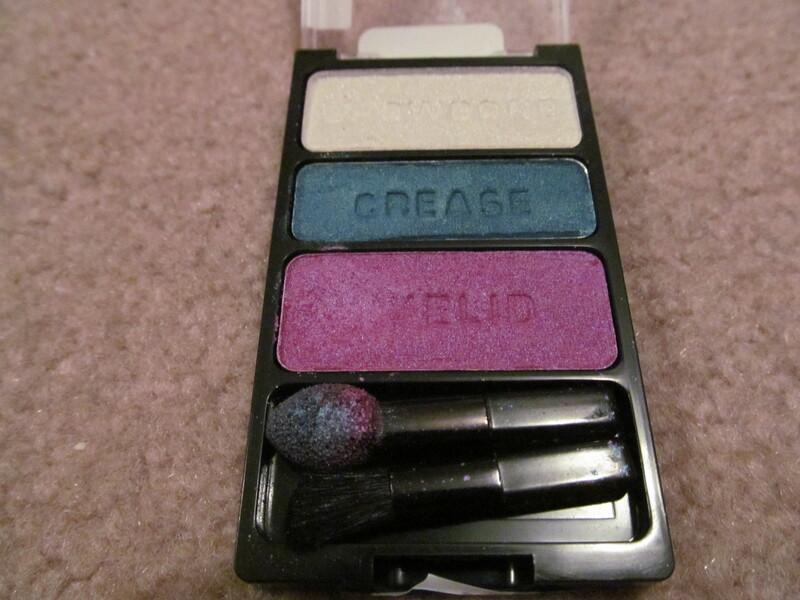 Overall, a nice eyeshadow palette for those willing to work with the eyeshadows a little more. Would I recommend this product? Yes for those who are a lover of bright pink-purple shades!